Eighteen members of the Ely Diocesan Association gathered at St Mary’s Church and Church Hall at Over in Cambridgeshire on Saturday 19 October to attend Module 1 of the Integrated Teacher Training Scheme (ITTS), ‘Teaching Bell Handling’. Organised by the Association’s Education Officer, Philip Bailey, this was the first ITTS course to be run in the Diocese of Ely. 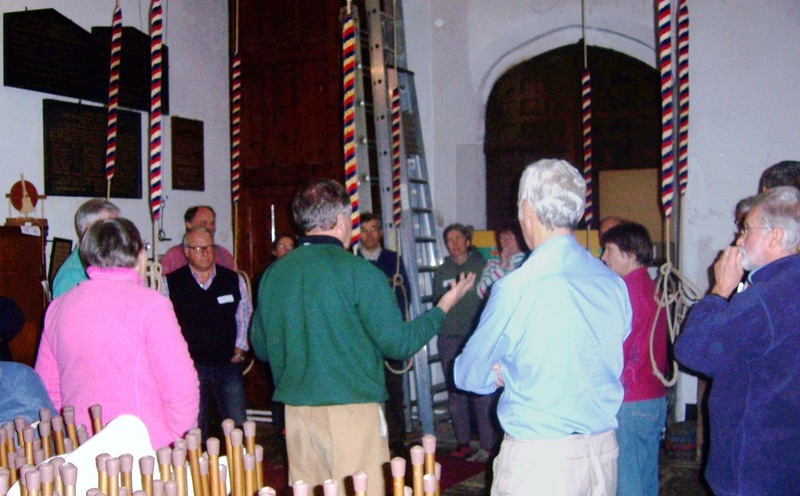 Led by presenter Graham Nabb of The Association of Ringing Teachers and The Harry Windsor Ringing Centre, Kineton, the attendees comprised both prospective ringing teachers and mentors in equal numbers. 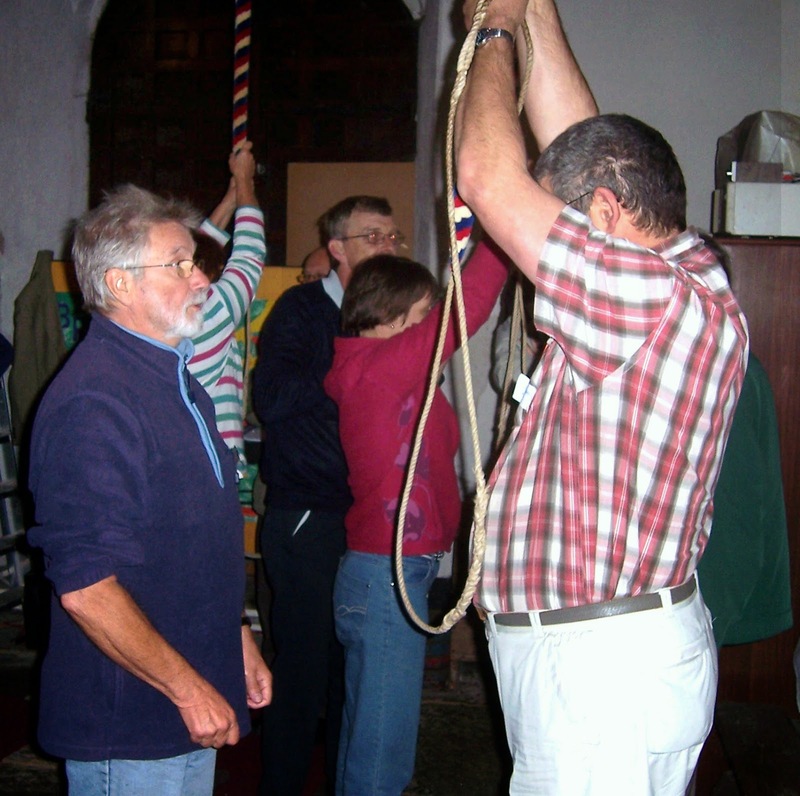 Each trainee teacher chooses or is assigned a mentor (normally an established and well-regarded ringing teacher in the area) who will work with the teacher throughout their subsequent training of a novice in the art of bell handling in order to demonstrate their ability and achieve Module 1 accreditation. Returning to the Church Hall for the closing session, attendees heard from Graham Nabb what was then expected of them in order to progress to completion of Module 1. Each teacher participant would receive a user name and password to be able to log in to Moodle, the ITTS website where they will subsequently be able to record their progress towards completion of Module 1 and beyond. The first task, however, was to take and pass an on-line theory test. Then the new teacher could embark on the identification of a suitable new learner for subsequent training to handle a bell correctly, ring handstrokes and backstrokes together, and ring a bell up and down. The teacher’s mentor judges when this training has been delivered effectively and then arranges for an independent assessment by another mentor to confirm, before submitting recommendation for accreditation. Richard Pargeter of Balsham added, “I went along because I wanted to be part of ITTS / ART, and not in the hopes or expectation of learning very much new (I've been at this for nearly 30 years now! ), but I did nevertheless come across some new ideas which I shall be trying out”.